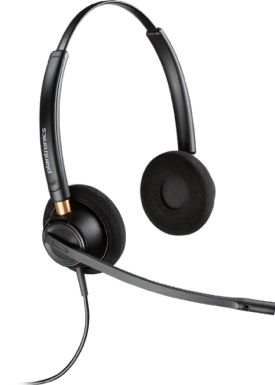 Choose from high-quality headsets for use with your 8x8 IP phones, crystal-clear headsets for use with your computer, or headsets that bridge both. Ideal for professionals who use a mix of PC audio, softphone and desk phone communications while in the office for conference calls, webinars, video conferencing and listening to multimedia. 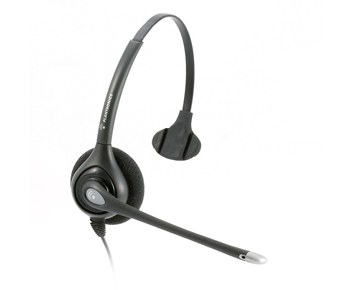 The Savi 745 automatically routes audio to whichever device you pick up – headset or desk phone. With a deluxe charging cradle kit included, the talk time is unlimited, no worry about power off. UC presence automatically updated when on a PC or desk phone call. 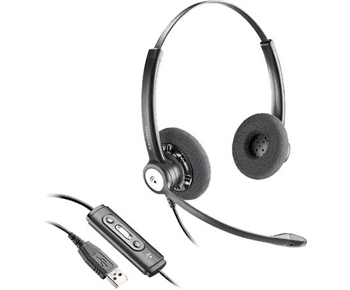 Integrating the desk phone, softphone, and PC audio, the Savi W730 system includes a wireless headset and a base unit that connects to a PC softphone or desktop phone, seamlessly unifying all your worlds. Listen to webinars or any PC-based audio through the Savi W730 with superior audio via DECT 6.0 and wideband CAT-iq technology. DECT 6.0 technology eliminates interference Wi-Fi networks for up to 350 feet. Bluetooth v2.1 for mobile phone. The CS540 is ideal for office-based workers across the enterprise who use a traditional desk phone but need hands-free mobility of up to 350 feet. Even though PC calling is catching on, many workers still use a traditional desk phone and require the freedom to multi-task – confer with colleagues, walk to the printer, grab a file or coffee – without interrupting their conversation. 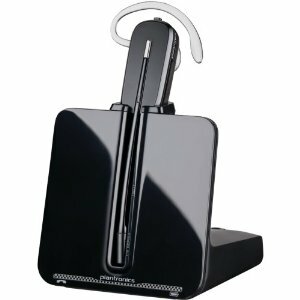 With one-touch call answer/end, vol+/-, and mute and the ability to manage calls from up to 350 feet from the charging base, the CS510 is ideal for office and desk-centric workers across the enterprise looking for a simple-to-set-up, simple-to-use wireless offering for managing desk phone calls. 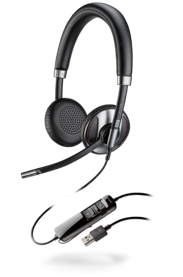 The CS510 also enables you to conference in up to three additional headsets for easier collaboration and guest headsets can subscribe to a base by simply docking the headset. Use the CS510 with an Electronic Hook Switch Cable or Handset Lifter to remotely answer/end calls. Wireless frequency: DECT, range up to 350 ft. 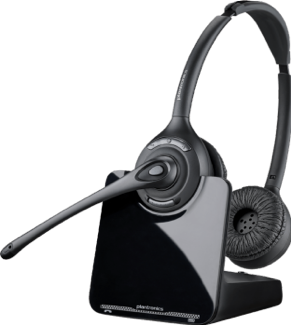 When you need over-the-head, binaural capabilities, the CS520 is the ideal wireless headset for office and desk-centric workers across the enterprise looking for a simple-to-set-up, simple-to-use wireless offering for managing desk phone calls. 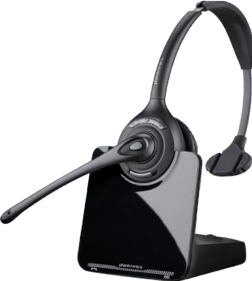 The CS520 also enables you to conference in up to three additional headsets for easier collaboration and guest headsets can subscribe to a base by simply docking the headset. Use the CS520 with an Electronic Hook Switch Cable or Handset Lifter to remotely answer/end calls. Be ready to take the call, wherever you’re connected. 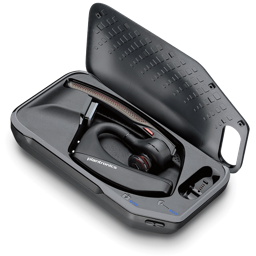 The Voyager 5200 UC Bluetooth headset offers advanced, adaptive noise cancelling with WindSmart technology to reduce disruptive noise. It’s ready to work anytime, anywhere. Offering seamless connectivity to your PC or smartphone, and integration with 8x8 unified communication applications, the Voyager Focus UC is ready to work how you do. With up to 98 feet of wireless range, enjoy mobility while calls and music stay crystal clear, whether you’re at your desk, in the conference room, or in the kitchen. Enjoy freedom with no loss of fidelity. 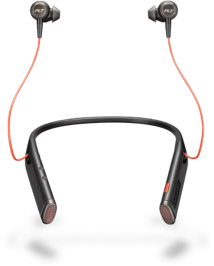 The Voyager 6200 UC is a Bluetooth® neckband headset with earbuds that has the versatility to go beyond the office. Transitioning to your next conversation is easy: Connect with colleagues working remotely, listen to music to focus distraction-free or drop an earbud to tune in to the conversation around you. You can count on Voyager 6200 UC for outstanding audio every time. An excellent monoaural (one ear) headset. 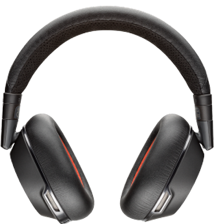 The Plantronics SupraPlus Wideband HW251N headset delivers the highest level of audio performance even in noisy environments. 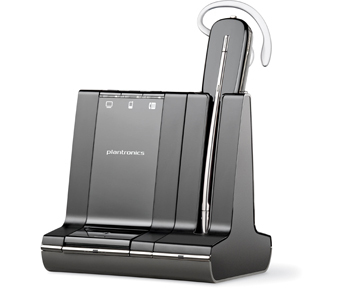 The Plantronics Blackwire C325 is part of the Blackwire series of Plantronics USB headsets. 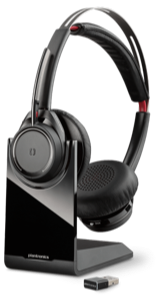 The C325 binaural (two ear) headset supports wideband audio, has a noise canceling microphone and leatherette ear cushions. 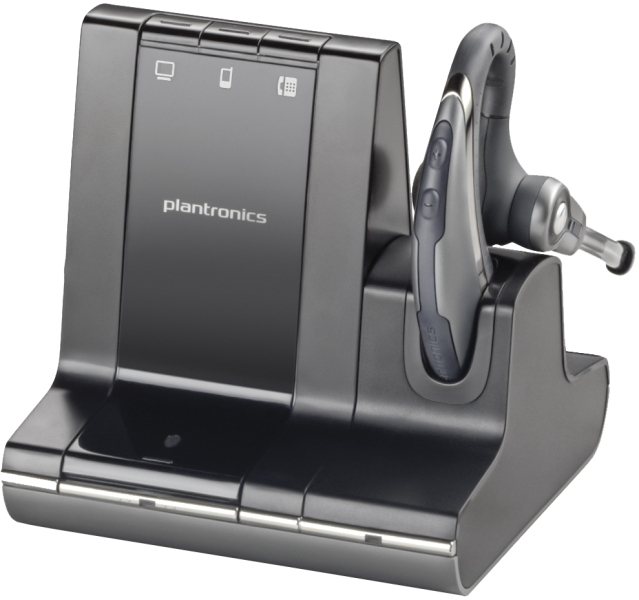 The Plantronics EncorePro HW520 is an all-new generation of headset ideal for telephone-intensive users, including formal customer care centers, help desks, telesales, and customer service organizations. With its contemporary, boomless design and active noise canceling, the Voyager 8200 UC blocks out background noise so you can concentrate on your work or your call in comfort and style. Soft ear cushions, 24 hours of listening time and a 3.5 mm audio cable allow you to play music whether you’re in the office, on a flight or on the go. Roam with ease at a range of up to 30 m/98 ft with a Class 1 Bluetooth® device. Electronic Hook Switch Cable for remote desk phone call control (answer/end). 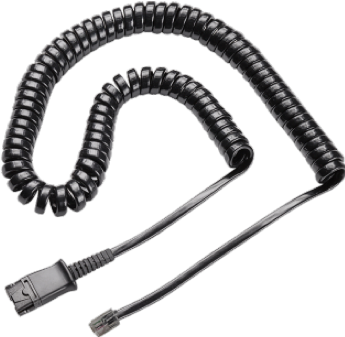 This cable eliminates the need for an HL10 Handset Lifter. 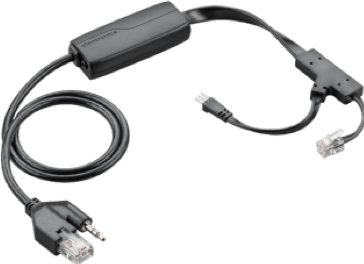 This cable works with Polycom desk phones and may work with additional manufacturers, check with our Product Configurator for more information. 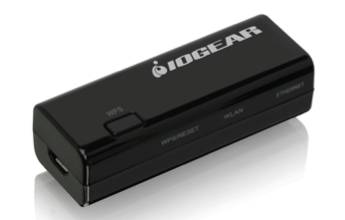 Enjoy the freedom of Wi-Fi connectivity for any of your Ethernet enabled devices at home or in the office with IOGEAR’s Ethernet-2-WiFi Universal Wireless Adapter. This is the ideal solution for devices that do not have built-in Wi-Fi and is universally compatible with any device with an Ethernet port. Avoid the clutter of cables and connect devices such as HDTVs, game consoles, and Blu-ray players to your Wi-Fi network.